In the flooded world of marketing and creative companies, differentiation is challenging and near impossible. Marketers are faced with an increasing problem; people are tired of seeing the same type of advertisements over and over. Who blames them? The average person is bombarded with over 5,000 advertisements a day; how can you expect your brand to stand out with the same, boring message? The ones that are able to distinguish themselves in this space are those that go above and beyond. These industries leaders are prepared to do whatever it takes to bring home results for their clients. 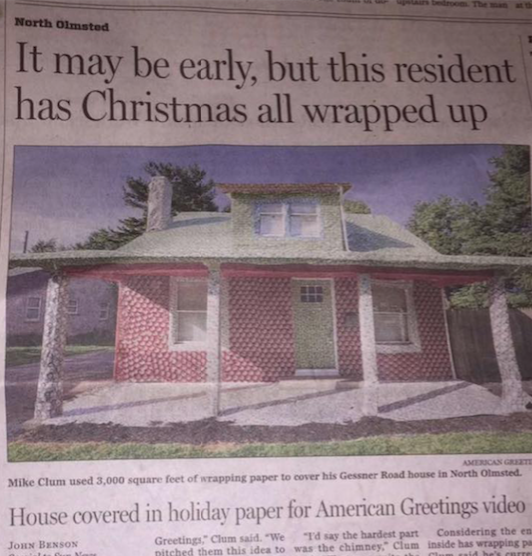 For Clum Creative, a video production company in Cleveland, OH, it was spending two weeks wrapping an entire house in gift wrap for a marketing campaign video for American Greetings' online store. The video, was about a man with a deep love for gift wrap who used American Greetings wrapping paper to wrap everything he owned. From his house to his car to all of his food, literally everything was wrapped up. This was an original idea that Clum pitched, combining humor and extreme imagery to produce a really impressive, soon to be viral video. The unique and bold nature of the video is matched only by the leader of the firm behind it, Mike Clum. His story is a bit different than the rest of the pack. When he dropped out of college in 2011; innovation and creativity was his only option. It was either sell bold ideas and execute, or starve (literally). He had no income, no investors, and little to no video production experience. Fast forward 5 years and you will see an entirely different story. 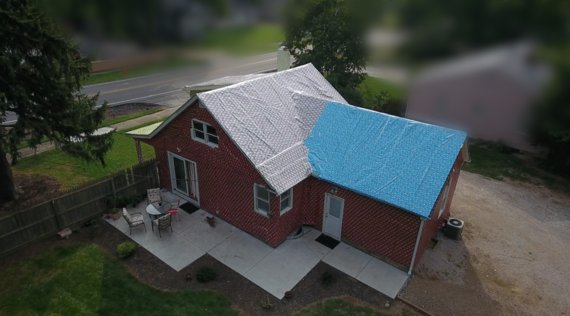 Clum Creative has established itself as Cleveland's leading video production company, with a full staff and hundreds of customers from around the globe. They are leading the pack of the young and hungry 20 somethings exploding their way into the creative media world. These young creatives are unapologetic, fierce, and wield an unbridled determination and passion for what they do. And while Clum has formed quickly, they aren't the only ones; young creative teams will be popping up all around the nation. These feisty millennials are bold and willing to go "all-in". 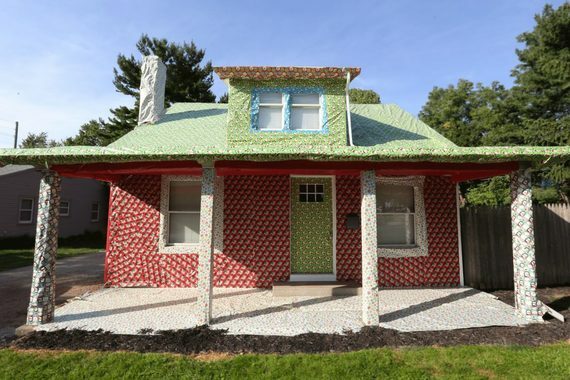 For Clum, that takes the form of wrapping an entire house in gift wrap for an industry leader like American Greetings. For you? 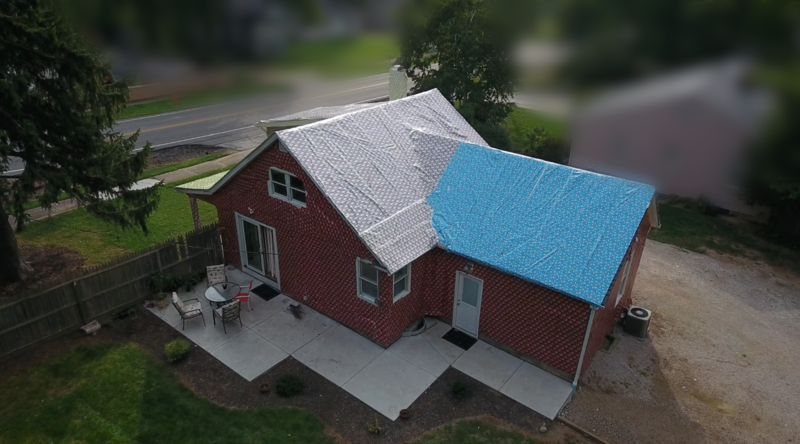 Maybe it looks like something else. Whatever the case, if you want to stay competitive it's time to everyone to start asking; how far are you to go for your clients? And perhaps more importantly, how far is your creative agency willing to for you? Would they wrap a house? If not, maybe it's time to reconsider.